Who needs more backgrounds, I ask?! We do!! I sure like choice and I thought you may too. 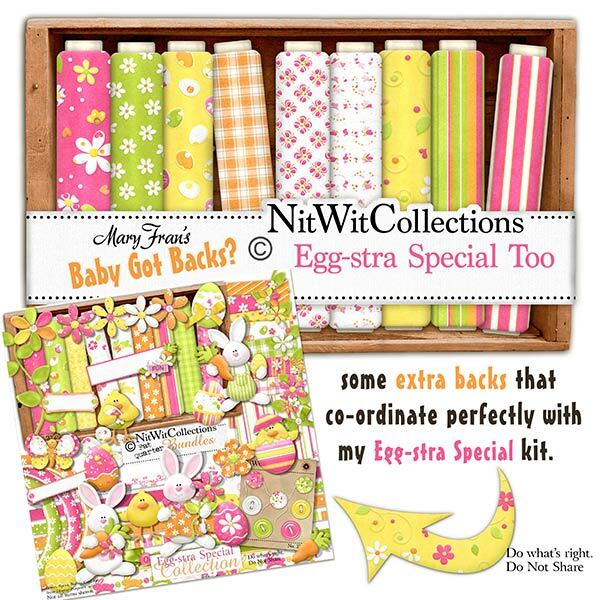 "Egg-stra Special" Too gives you more choice for background papers for your scrapbook layouts and to create cards with. These papers are different than the background papers in the "Egg-stra Special" FQB.